Annie Bolitho is an expert at facilitation. The more complex the issue and the more diverse the stakeholders, the happier Bolitho is to help. Naturally reticent about “selling”, Bolitho has taken an unusual approach to content marketing that allows her to combine her skills as well as her interests, and it’s delivering benefits. Urban planning is a complex issue with diverse stakeholders, and it’s where Bolitho is often called in to facilitate. 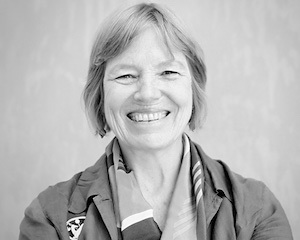 Before setting up her consultancy five years ago, Bolitho helped establish the Melbourne Sustainable Society Institute, which conducts interdisciplinary research into sustainable cities. It gave her a deep understanding of the issues – and volatile emotions – involved in planning. While Bolitho applies facilitation skills to a wider range of issues – working with local and state government departments, non-government organisations and universities – planning issues are her sweet spot. “That is what I love doing,” she says. Bolitho is a member of Hub Melbourne, a co-working space where she attended a content marketing presentation four years ago (this one wasn’t mine, by the way). The presenter (now long forgotten, sadly) used the example of a café that generated a lot of buzz and customers by blogging about a nearby graffiti wall and its ever-changing imagery. Bolitho was impressed by the café’s lateral approach to content marketing. The graffiti blog reflected the café’s cultural and urban values, the interests of its local neighbourhood clientele, and avoided the mistake of publishing a dreary series of posts about coffee that would have been quickly exposed as sales guff by any potential customers. Bolitho saw potential for her to adopt a similar approach. When Jane’s Walk, a Toronto-based not-for-profit, approached Hub Melbourne looking for a facilitator of their program, Bolitho jumped at the opportunity. Celebrating Jane Jacobs, one of the world’s most famous urban designers and author of Great American Cities, Jane’s Walk is a worldwide movement. The idea is for citizens around the globe to lead walking tours on the first weekend in May, during which they tell stories about their communities, explore their cities, and connect with neighbours. For the past three years, Bolitho has led a walk. And she has turned that walk – something she loves to do for its own sake – into a content marketing opportunity. The walk itself, as well as Bolitho’s blogs and social media efforts leading up to it, and her reflections following it, have helped to keep her in the minds of important clients, build closer relationships with prospective ones, and generated interest in her social media profile. At the same time, Bolitho also demonstrates her facilitation skills on the walk as she engages and involves participants. Some contacts are prompted to email Bolitho and update her on what they are working on, opening up opportunities. The event has also led to opportunities for Bolitho to guest blog on sites her clients read, such as Australian Policy Online. Bolitho blogs once every six weeks, but says the walk, which she loves, has been a really effective content marketing tactic for her, and she will probably look for a second opportunity of this kind for the second half of the year. JOIN Jane’s Walk this year. It’s free. Annie Bolitho’s Water Sensitive City Walk is this Saturday at 10.30am. Meet at the water wall at NGV International, and spend a relaxed hour and a half discovering the secrets and stories behind Melbourne’s waterway – above and below ground.